Arrival at Pathankot/ Chakki bank Railway Station from Mumbai and Shall Transfers to Dalhousie, Overnight Stay at Dalhousie. 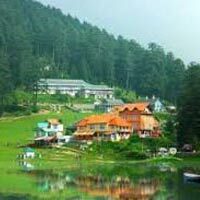 Activities same day at Dalhousie :- local sight seeing of Dalhousie, Jandhrighat Palace, Subhash Bowli, Bara Pathar, Panjphulla, Subhash Chownk, GPO Dalhousie, Satdhara and the last but not least Old Churches of Dalhousie, Must eat Gulab Jamun at Café Dalhousie, Walk from GPO to Subhash Chownk through Thandi Sarak, also visit to D C Khanna Grocery shop. Dain Kund, Bakrota Hills. After Breakfast we shall depart for Khajjiar known as Mini Switzerland of India, on the way to Khajjiar we shall stop at Kalatop (A Nature walk suggestive here from Kalatop toll Bridge to Kalatop Rest House) and there after to Khajjiar and thereafter towards Chamba and after full day excursion shall back to Dalhousie for the overnight stay. 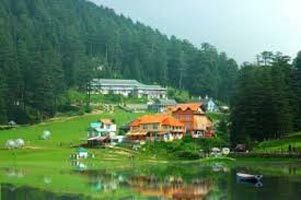 Activities at Khajjiar :- Horse riding, Zorbing, Nature walks suggestive here in betweens the trees, must visit to the KHAJJI NAGA TEMPLE there. Chamba Activities :- Visit the famous Luxmi Narayan Temple (Ancient and Historical Temple) and the Chamunda Temple (famous for its ancient wooden carving) both are the sidh piths of Chamba and Museum. After Breakfast shall depart for Dharamshala, overnight stay at Dharamshala. Activities same day :- we will explore, Mc Leod Ganj, Bhagsunag, Tibetan Markets, Naddi, Bhagsunag Temple and Waterfall, Tibetan Monastery and Dal Lake. After Breakfast shall depart to Manali, overnight stay at Manali. After Breakfast shall leave for the Rohtang pass up to the snow line area and by the evening shall back to Manali for the overnight stay. Please note Due to Ban by Himachal Pradesh Govt. you have to take union vehicle to go to Rohtang of your own. Activities at Rohtang :- Skiing, Playing in the Snow, a hot cup of tea again and again enjoy the public playing snow at Rohtang. Activities in Manali: - Evening half day city tour visiting Hidimba Devi Temple, Manu Temple, Vashisht Village, Vashisht Hot Water Springs, Van Vihar, Hong Kong Market, The Mall Manali and The Tibetan Monastery. After Breakfast shall depart for Manikaran there, we see hot water springs, Gurudwara, Ram Mandir, thereafter back to Kullu, Shopping of Kullu Shawls etc and then back to Manali for the overnight stay. After Breakfast we shall leave for Chandigarh railway station for dropping please.